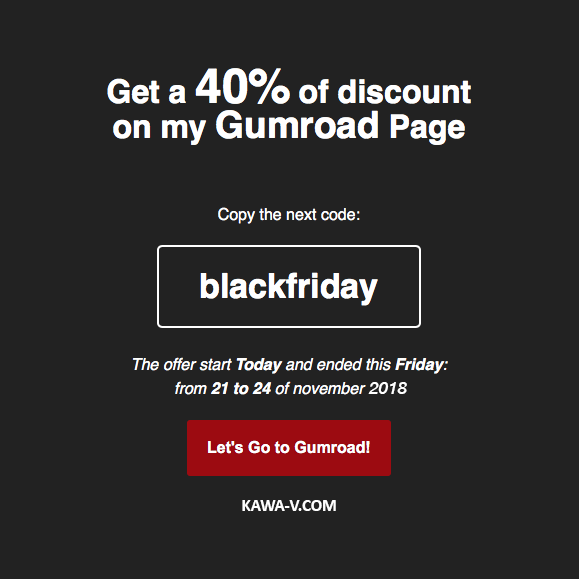 Like the past year, BLACK FRIDAY comes again to my Gumroad! You can get a 40% discount on my packs content. But remember use this code: blackfriday. Only 21, 22, 23 and 24 of november 2018!